Full address of Cyberjaya University College: No 3410, Jalan Teknokrat 3, Cyber 4, 63000, Cyberjaya, Selangor Darul Ehsan Malaysia. We help the students who are seeking admission in CUCMS University (Or any other University in Malaysia), in everything from the application process and visa application and documentation to arranging for their accommodation and even arrange to pick up the students from the airport and all in FREE of charge. We make the students familiar with the life in Malaysia and in CUCMS University, with the help of our extended services that will make every student feel at home. In simple words, If you are looking to study in Malaysia, we will basically do everything needed that you don’t have to look anywhere else. For details about our services click here. To get started right now or for your inquiries or if you want to study in CUCMS University, visit our Online Malaysian Universities Application System (OMUAS) or fill out the Register form from the right side. Someone from our team will get in touch with you at the earliest and will take you through the entire process – clarifying all your doubts and answering all your queries. After registering with us you can log in and upload your required documents and that is the only thing you will have to do in this whole process, we will take care of the rest. Minimum CGPA of 3/4 in High School, Secondary School or A – level. Minimum CGPA of 3 /4 or equivalent in a Bachelor’s degree in a related field. English language requirements for admission in the CUCMS or Cyberjaya university college in Malaysia – As English is a common language, which is very important for any student for communication, CUCMS requires you to take up a global and competitive English tests like TOEFL - Test of English as a Foreign Language Or IELTS – International English language testing system with the minimum score required for the university. If you do not have the above scores in English, You can take the Cyberjaya English placement Test on arrival to Malaysia. In the case of your disqualification from the above, you will be mandated to take an English course at the Cyberjaya University. 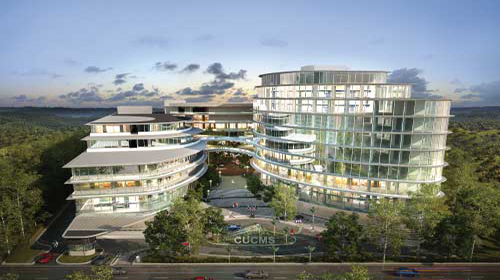 The list of documents for the purpose of admission to CUCMS University Malasiya, are provided on here. The University lodge can accommodate approximately 1500 students in full capacity. The other amenities include tennis court, gym, swimming pool. Laundry mart, cafeteria etc. Cyberjaya University offers a wide range of programs for the students to choose from. In the following tables, we have listed their available programs along with the tuition fees. *Average cost can vary in different years according to University's fee structure. Contact us to receive detailed Fee chart. The student can enjoy 100% scholarship in the Foundation Programs in areas of Psychology, biomedical and engineering, occupational safety and physiotherapy. The students of the Foundation in Science Program leading to a degree in Psychology can avail this scholarship. There are other similar scholarships awarded to students of these families, such as the Palan Foundation Financial Aid. 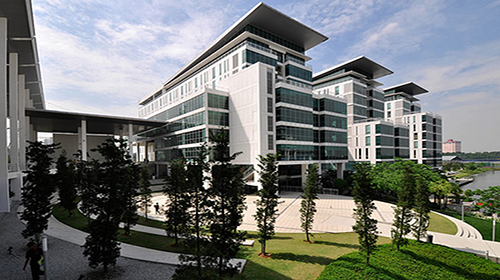 Cyberjaya offers several merit scholarships and financial aids to students. Additionally, several NGOs and external organizations also over the years joined hands with the University to provide scholarships to meritorious students. There are different scholarships for different kind of merits, namely, the 100% Scholarships, 50% Scholarships and the Top-uP Financial Aid. Brilliant students who hail from low-income families aren’t overlooked here at Cyberjaya. They are offered Bursaries by the University. So, there’s something for every student who is an achiever. 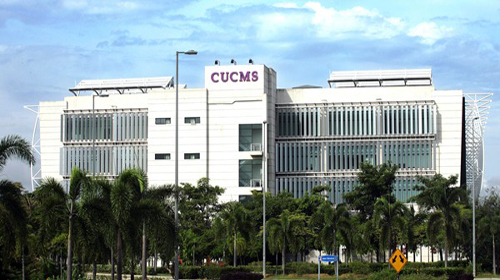 CUCMS or Cyberjaya University College of Medical Sciences is one of the top medical universities in Malaysia, where people from different places prefer to take admissions on a regular basis. SETARA is the Malaysian Qualification Agency, which provides a ranking to university based on their quality and support to students. CUCMS is rated as an excellent institution in the range of Tier 5, which is pretty much equals any leading public university in the country. The institute or the university was established in the year 2005 and located in Cyberjaya. 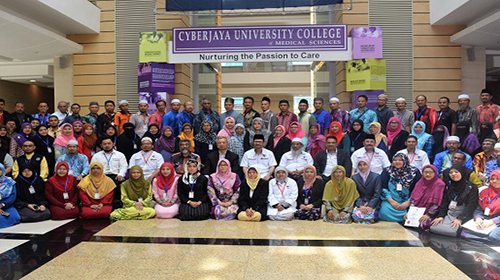 Cyberjaya University College of Medical Sciences offers more than 20 programs in degree, which includes both masters and doctorate level courses in a wide variety of subjects and specializations. The campus is situated on a 5-acre ground, which is well equipped with modern facilities for the students to avail while studying in the campus. CUCMS offers a list of courses in different subjects like pharmaceutical science, psychology, physiotherapy, homeopathic medical science and so on.